What exactly is a Grandes Ecole and what does it mean? The French University system has always seemed to be a bit of a mystery to me. Many of their Universities have roman numerals like II or III after the city’s name, looking at people’s CVs lots of people don’t seem to have even attended a university as part of their higher education in the first place, and it’s never been clear what the best universities for Computer Science in France are. So having recently secured a French developer a new position I asked him if he could help. So I quickly found out that the developers who attended what looks like “big school” (where you wear your “big boy clothes”???) have actually attended the very, very best institutes for higher education that France has to offer, these institutions are so good, so well regarded, that they seem to be like “winning the lottery of life” or in Mafioso terms “becoming a made man”, they are the prestigious Grandes Ecoles. The reason that the Grandes Ecoles are so prestigious that the whole fabric of French employment society is saturated, dominated even, by their presence. Established in the late 17th and 18th Centuries to educate and to give practical training to country’s brightest students in engineering and the sciences, these schools were so successful in generating the minds that the country needed to the lead their industries, they did not just survive Napoleon and the French Revolution, Bonaparte greatly expanded and formally christened the system “Les Grandes Ecoles”. The developers who attended a Grandes Ecole will be part of the top 5% of academic students in their year, they will be the very brightest students their generation has to offer. Each Grandes Ecole is highly selective and the entry bar is made very high. Today, in the right business or social circles in France, it is a common question to ask when first meeting someone what “school” they attended. In France you need to have attended a Grandes Ecole in order to get into the higher echelons of management and company leadership in almost any company, and you will certainly need to have studied Computer Science, or mathematics or something similarly related, to become a developer in the most demanding software engineering teams in the Investment Banks or a Quantitative Analyst. Actually getting accepted to attend is very difficult, but naturally many kids (or at least their parents) are very keen to attend. The entrance examination is called the “Concours”, but certain Grandes Ecoles will only take the best of the best (see below) and others will only consider an applicant on the strength of their own exam. 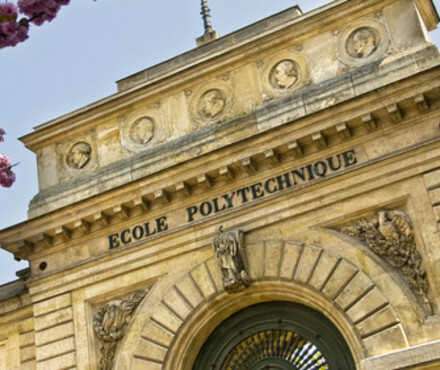 Although some students go enter a Grandes Ecole straight after the end of High School, many students will attend a preparation course, called “Classe Preparatoire aux Grandes Ecoles” which consists of a 2 year course training the student in the way of thinking and approaching challenges they will need to successfully complete this form of higher education. Interestingly the prevailing attitude seems to be that if you are smart enough to get in, then you will be smart enough to be able to complete the course, therefore there is little focus on final grades or overall performance as in with a British or Western University system. One thing to note is that all this means that you have to be quite a competitive person to get in, which some people believe means that the Grandes Ecoles do not attract all of the brightest young technologists in France. Despite the lack of a big “final grade” that will represent your performance whilst studying, the course is “intense”. Courses are academically tough, they can be up to 6 years, and some are very industry focussed, making them very relevant to careers in programming; most courses however last for 3 years (some only 2 years). English is widely taught at the Grandes Ecoles and in my experience most Computer Science students leave with a strong academic knowledge of the English language but can lack confidence with their verbal communication skills. As you can imagine graduates from these institutions tend to be high sought after in France, and about 50% of graduates actually secure their first job before they complete the course. Some Grandes Ecoles pay their students to attend! That’s right, because attending some Grandes Ecole is considered a form of Public Service (such as Polytechnique and ENS) these institutions pay their students to attend (though they must take some form of state employment after their studies have been completed)! Otherwise its a VERY cheap form of Higher Education, most Grandes Ecoles have very limited tuition fees – just a few hundred Euros each year. So without a final grade, there is actually no real national ranking system showing which of the Grandes Ecoles / Universities are the best. Instead it seems to be fair to say that France has a 2-tier system, the highly prestigious Grandes Ecoles and the rest, the Universities. Interestingly, within the system of Grandes Ecole Computer Science is still regarded as a “new” subject and therefore not as pure as maths or physics, making it less highly regarded and less sought after as a subject to study by the very brightest students. it’s an “old fashioned” institution, that does not teach how to programming is actually practised today, and that the system’s focus on “Computer Science”, rather “Software Engineering” means that graduates can lack an ability to write a fully functioning application to today’s industry standard. The idea that a Computer Science graduate can write an algorithm but can’t “code”. Finally no article on the French Higher Education system of today would be complete without a reference to a Parisian school for Computer Science that was set up in 2014 by the French Billionaire Xavier Niel called “42”. Its free, it has no entrance requirement other than entrants must complete a simple online logic test, continued attendance is assessed on a month by month basis, the education consists of a gruelling 24/7 work regime where students must learn to code or drop-out, team work is the key to success and executives from places like Google, Microsoft, Facebook and Twitter all seem to think its pretty good. It’s a totally new way of looking at learning to code and was founded on a philosophy of “The tougher you make it, the better they do”. Here’s a Wired article all about it.